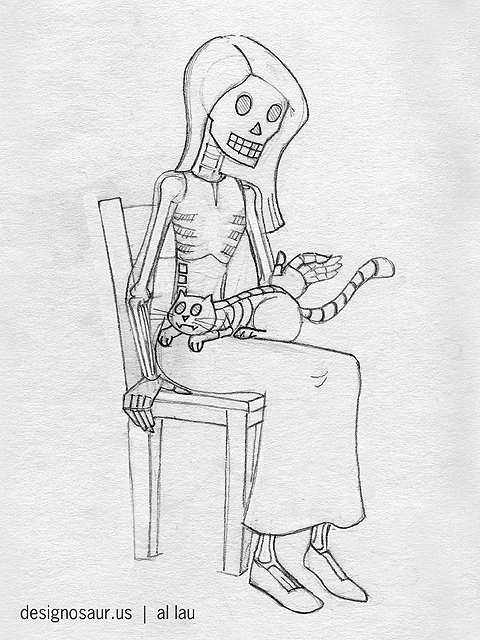 Happy Dias de los Muertos! 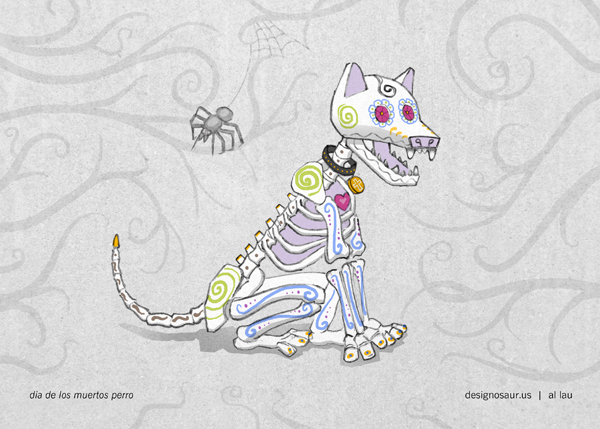 Here is a doggy celebrating Day of the Dead. 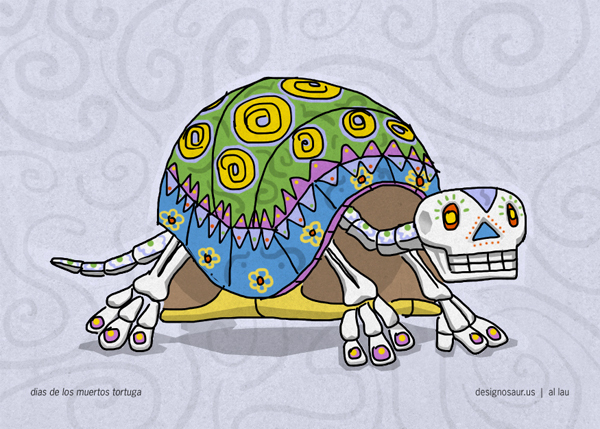 Day of the Dead is a Mexican holiday that is very special. It takes a somber note and turns it into a joyful celebration through a show of decorations and offerings of delicious food. All the gifts of love surround a photograph of the dearly departed on an alter. Food and decorations can come in the form of skulls or skeletons, adorned by flowers and brilliant colors, for the Mexicans embrace death as a part of life. Drawing and painting my turtle was a pleasure to do. It was actually therapeutic! I must say the Mexicans have the right idea. On another subject, New York Comic Con begins this weekend. I will post some pics of the event, next time. So stay tuned. Oh, and The Walking Dead series returns on Sunday night. Ahh, I’ve got that spooky feeling again. Don’t you? 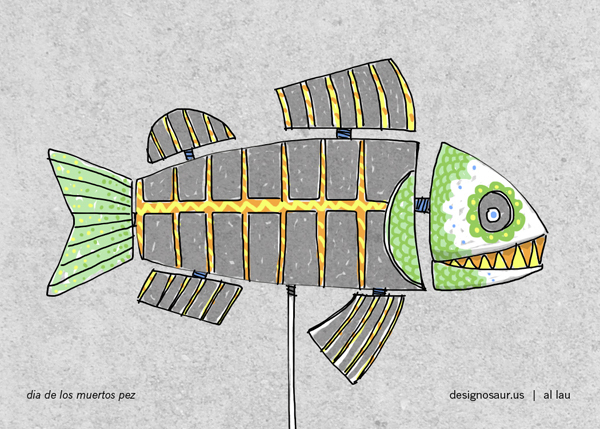 Follow me on my tweet-o-saur: @SirAlbertus so we can share thoughts on artsy-ness to geeky-ness. 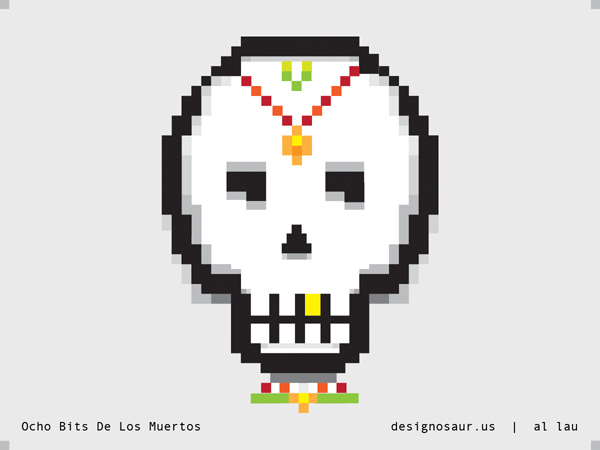 For Dia de los Muertos, I wanted to do something different graphically, this year. I always loved the simplicity of 8-bit art, so I sat down at the computer for this little guy. Happy Halloween to all you ghoulish geeks out there! There once was a girl with perfect black hair. who loved her cat which would run everywhere. A car made a screech. They are still together, so don’t you despair. Autumn will come and go like a distant memory. Before we know it, the winter chill is upon us. 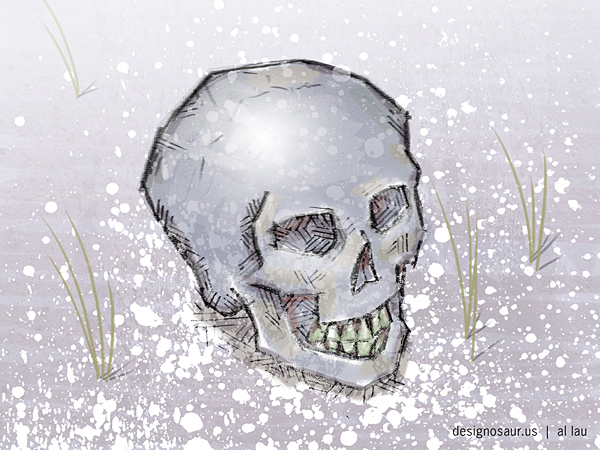 I did this drawing of a skull in perspective, and then color painted it in Photoshop.